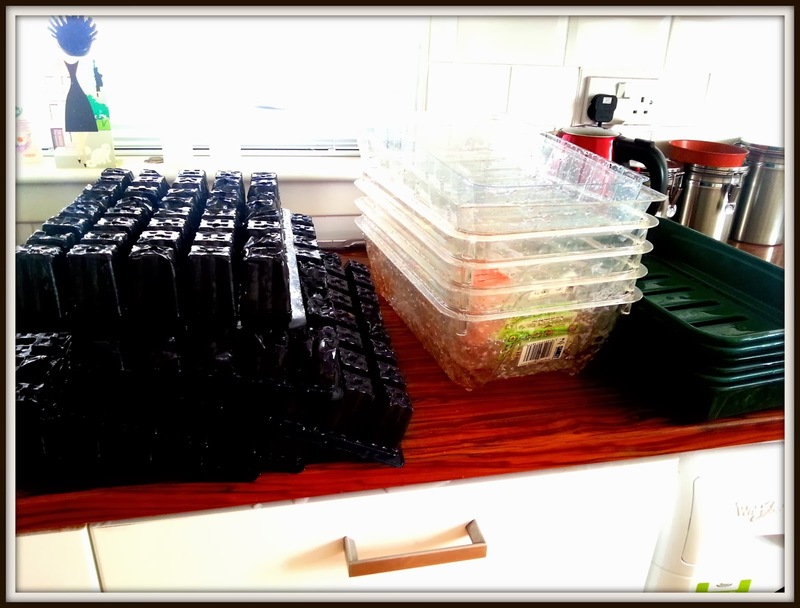 If you are a professional like me you will have lovely seed trays to grow your seeds in. But I think it's cool to grow them in other things which are lying around the house. I will tell you more about them later. But first things first, make sure you give your trays, cells and covers (or whatever you are using) a good old clean. It gets rid of nasty bugs which could affect your seeds. It's just the same as us washing our hands before we eat, right? It's important to use a good compost which is meant for sowing seeds to give them the best possible start. This sort of compost is lighter and holds water better which means the seeds can grow more easily. Read your packets in case your seeds have special instructions. 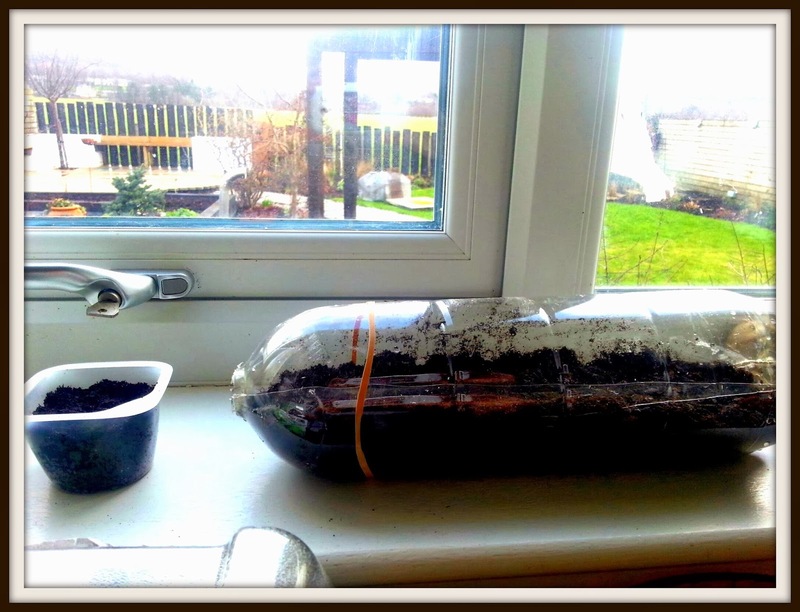 We used Verve Sowing and Cutting Compost (it has to be the 12L bags) as it's a Which Best Buy. 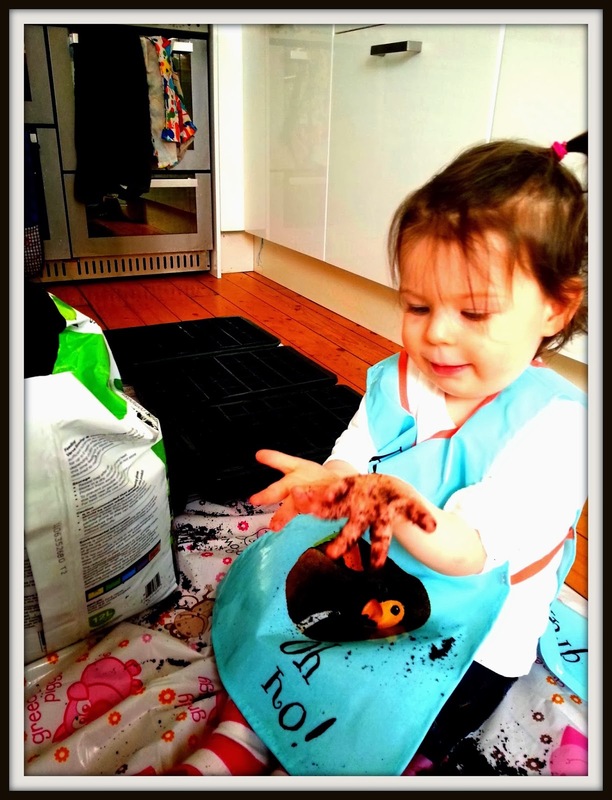 Time to get your hands dirty, yay! Make sure you label your trays clearly so that you know exactly what is growing there. You could write the names or draw a picture of what it will look like. It's important to label as whilst I love growing courgettes in the middle of our flower beds some people might not want their broccoli in a hanging basket ;) Cover your trays to create a humid environment for the seeds to germinate well. Remember to keep the trays well watered and in a sunny spot. 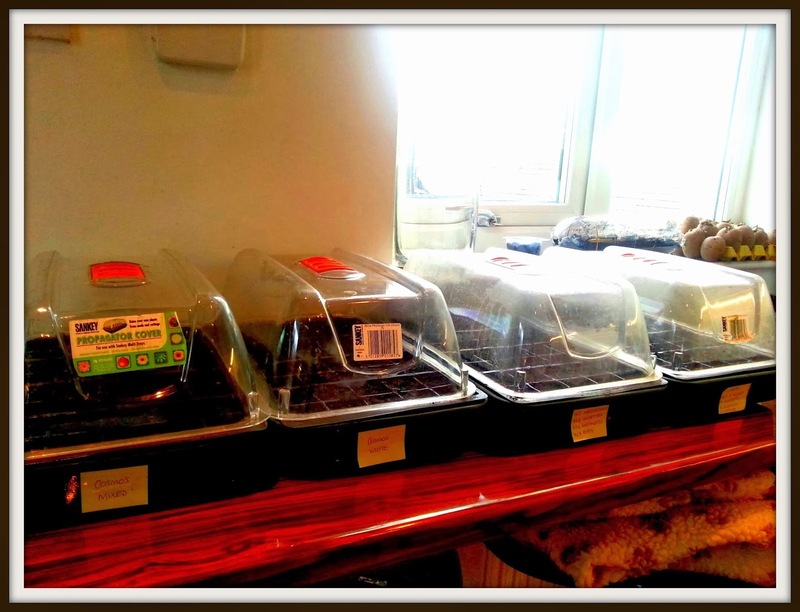 If you don't have seed trays there are lots of alternatives you can use such as plastic bottles, yogurt pots, tin cans, egg cartons, juice cartons, old boots, milk cartons or any old flower pots you have sitting around. To use a bottle, cut the plastic bottle in half long-ways (ask a grown-up to do this) to create a lid which you can easily flip up to water. Remember to put drainage holes in the bottom. 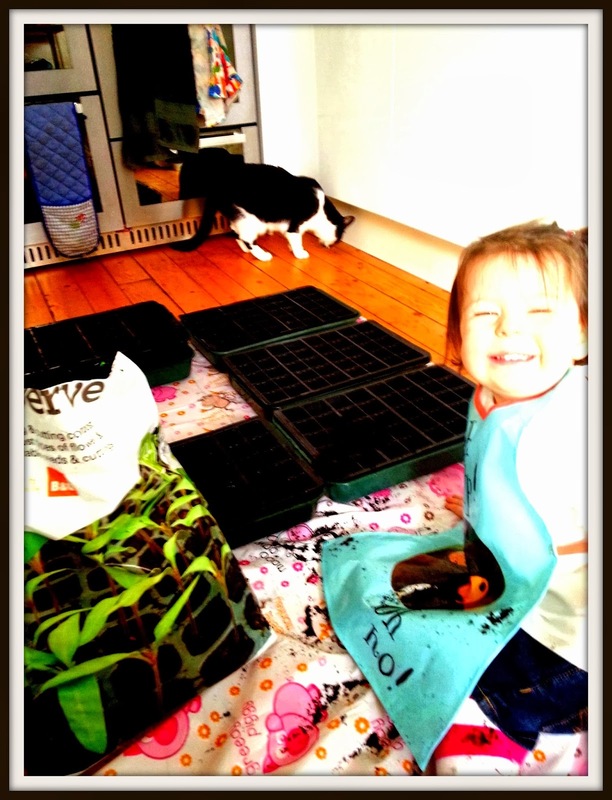 are great for sowing seeds in. 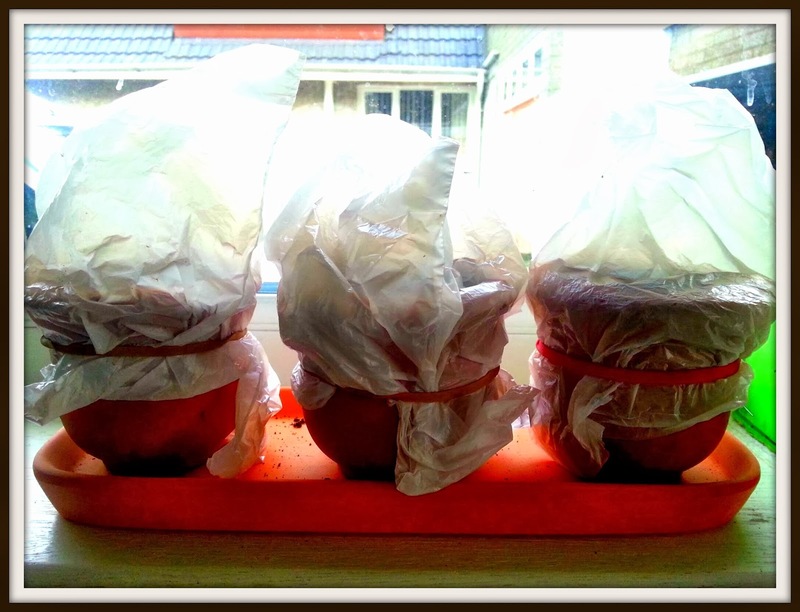 And try using sandwich bags and elastic bands to create a lid for flower pots while your seeds germinate. No need for fancy cloches, a sandwich bag will do! So there you have it! And already, even in just a few days I can see my seeds starting to push through the soil. I have a selection of pretty flowers growing such as nasturtiums, poppies, sweet peas and cosmos as well as loads of different veg from courgettes and pumpkins to tomatoes (OK, technically a fruit) and broccoli. How exciting! Once your seedlings have developed their first true leaves and are large enough to be handled, carefully pot them into their own small pots. Be careful to handle them by the leaves or you may damage the stem. 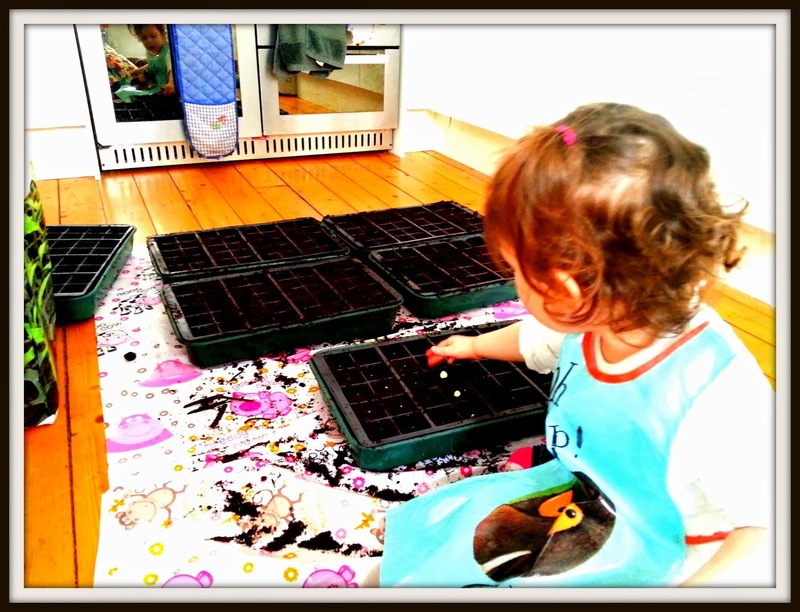 Give on, give sowing some seeds a try. I promise you it's waaaay more fun, more tasty, cheaper and better for the environment than relying on supermarket produce.